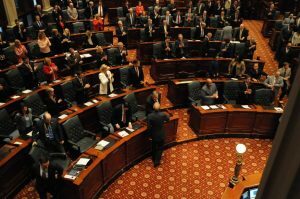 Most of you have probably read or heard by now that Attorney General Lisa Madigan going to court to try to stop state employee paychecks until the state budget stalemate is resolved. This is not the first time that Attorney General Madigan has moved to halt the pay of tens of thousands of workers who, through no fault of their own, find themselves in the middle of the ongoing budget stalemate, and it’s deeply disappointing. If successful, her motion could lead to a government shutdown that will devastate families in my district that work for the state, and those that depend on the services those employees provide every day. It could also bring to a halt the recent bi-partisan budget progress made in the Senate. I have called on the Attorney General to stop her attempts to penalize workers, withdraw her motion, and support the bi-partisan budget negotiations that are in progress. On Wednesday the Governor delivered his annual State of the State Address to a joint session of the House and Senate. I believe the Governor presented us with both a realistic picture of the severe challenges we’re facing this spring, and also a reminder of some areas in which we have made progress working together, which makes me hopeful that we can come together soon to pass a responsible, compromise budget. You can listen to my response here. 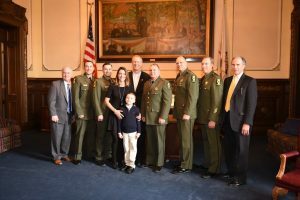 I was very pleased that this past week I, along with Representative Keith Sommer, had the privilege of welcoming to the Capitol Hunter Hillman, a young student from Bloomington, and State Troopers who took it upon themselves to help make sure Hunter felt included during lunchtime at school. It was a very touching moment that you can watch here. 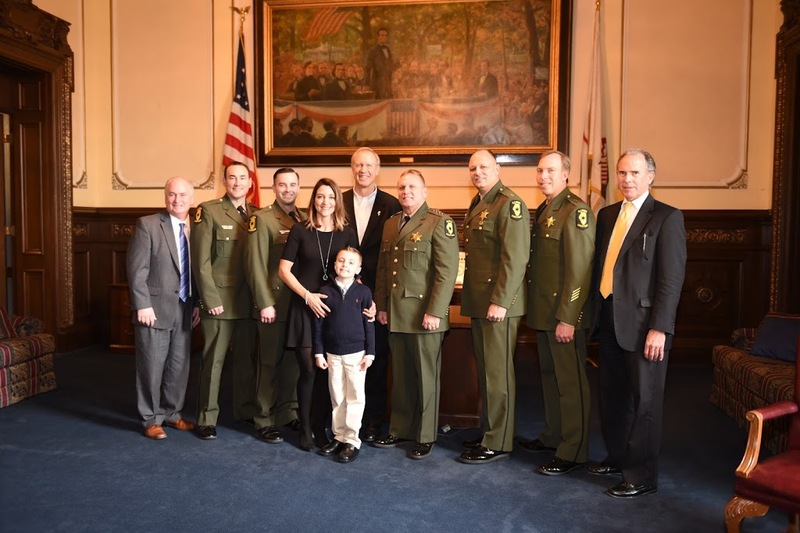 Prior to watching the House in action, the Hillman family and the Troopers stopped on the 2nd floor of the Capitol to visit with Governor Rauner. You can read more about Hunter’s story here. With the new spring legislative session now fully underway, I wanted to remind you that you can follow the action in the House from your computer, phone and other devices. On days when the House is in session the Illinois General Assembly Website (www.ilga.gov) streams live video and audio of the action on the House floor and in committees. You can also go to the website any day to track the progress of legislation you’re interested in, review bills that I am sponsoring and contact information for me and my staff, and to access a variety of other information including the Illinois Constitution. The website is another great resource to help you stay well informed on what’s happening in Springfield.